Fleece available in 3 colors: black, black / pl woodland and olive / pl woodland. 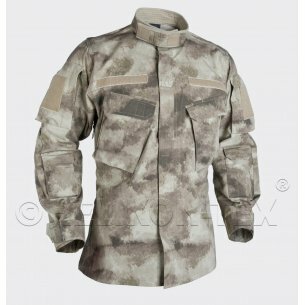 Renowned manufacturers of military clothing care about the high quality of the assortment, which translates into very good strength of the offered clothing. These products can be bought in our store, as evidenced by the Helikon Tex fleece Helikon Infantry. We invite you to familiarize yourself with the entire collection that will satisfy every amateur of durable outerwear for special tasks. One of the key advantages of clothing from the Helikon Infantry collection is the fabric itself that provides the clothes with desirable properties. It is worth to be tempted by the men's fleece, for example due to the fleece weight of 330 g / m². The sweatshirt is smooth and very pleasant to the touch, but at the same time it stands out for its exceptional durability. The material used has very good resistance to abrasion and pilling. Thanks to Helikon Tex fleece, it retains its aesthetic look for many years, regardless of the intensity of use. Clothes from this collection are especially recommended to people who are not alien in difficult outdoor conditions. The manufacturer has not forgotten about reinforcements in the form of additional material - they are in places more exposed to abrasions, ie on the elbows and on the shoulders. No wonder that clothing is appreciated not only by survivors, but also by professionals working in the police or army. Military clothing should be kept in a specific color to ensure that the potential user can effectively mask the greenery. The Helikon Infantry collection fits in perfectly with this principle - it's enough to look at the colorful offerings of the offered fleets. In our store you can find not only single-color models, but also sweatshirts with a camo accent. 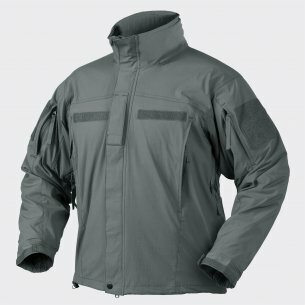 If someone cares about outerwear kept in a dark tone, he should take into account the black Heloon Infantry men's fleece, which works well every day and in the field. 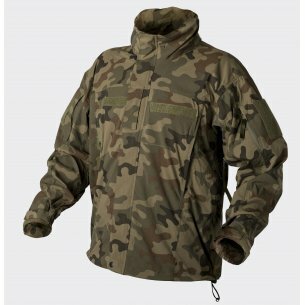 With a view to camouflage in the forest, the perfect choice will be the camo fleece, which is distinguished by the masking shades of green. Regardless of the colors, each of the fleece sweaters on offer is really universal - they can easily be combined with sports or casual clothing items. In military sweatshirts one of the most important assets should be practical pockets, which will work as compartments for more or less needed items. Our military store offers a wide selection of Helikon Infantry fleets equipped with functional compartments. The available blouses have four pockets, including two larger ones located at the bottom. One of the pockets has been sewn on the chest and works great as a pocket for documents or money. The last one is located on the upper left sleeve. Pockets are fastened with a zipper, which helps to secure their contents. Thanks to them, the men's fleece is even more useful during a day trip to a tent or hiking trip. 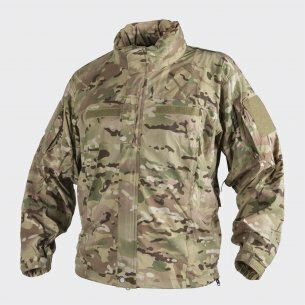 Military clothing is sewn in such a way as to ensure maximum comfort regardless of weather conditions and the level of physical activity. Polar Helikon Infantry is a significant proof - the manufacturer took care of the details that help to match the sweatshirt to the silhouette. In this angle, you should pay attention to the puller at the bottom with the stopwatch. Velcro adjustment also regulates the sleeves. The comfort of wearing is also influenced by the high quality of the material and the comfortable main fastening in the form of a zipper. Why choose Heloon Infantry fleece? The men's fleece from the Helikon Infantry collection can be worn as a warm sweatshirt or a practical jacket for bad weather. Fleece material helps maintain optimal body temperature, even on colder days. The undoubted advantage is also the collar itself, which effectively protects the neck from the wind. The polar camo is perfect not only when hiking in the mountains or walking in the woods, but also when working in the garden or in the morning training in the park. The standard cut guarantees freedom of movement, which makes it much easier to take outdoor activities. At the same time, the Helikon Infantry fleece looks very good on the silhouette and provides an attractive look in combination with tracksuits, jeans and knitted trousers.